ISLAMABAD: Pakistan Awami Tehreek finally ends its sit-in in Islamabad after a massive and historic protest spanning more than 2 months. Prof. Dr. Tahir ul Qadri has announced to expand PAT’s protest nationwide instead of just confining this movement in Islamabad. 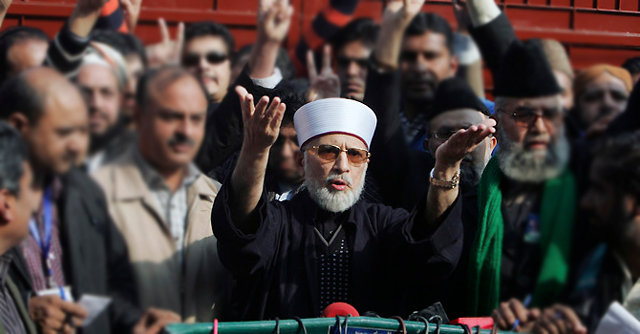 Behold, Dr. Tahir ul Qadri has ended his Islamabad dharna. Earlier in the day, PAT held a meeting of its core committee and allies to decide on the matter. The Prime Minister on the other hand has strictly advised all the PML-N members and ministers to not comment on this event. Dr. Tahir-ul Qadri has ended this sit-in with a precursor for his followers to keep their spirits high as they are merely stepping into the next phase of their revolution.